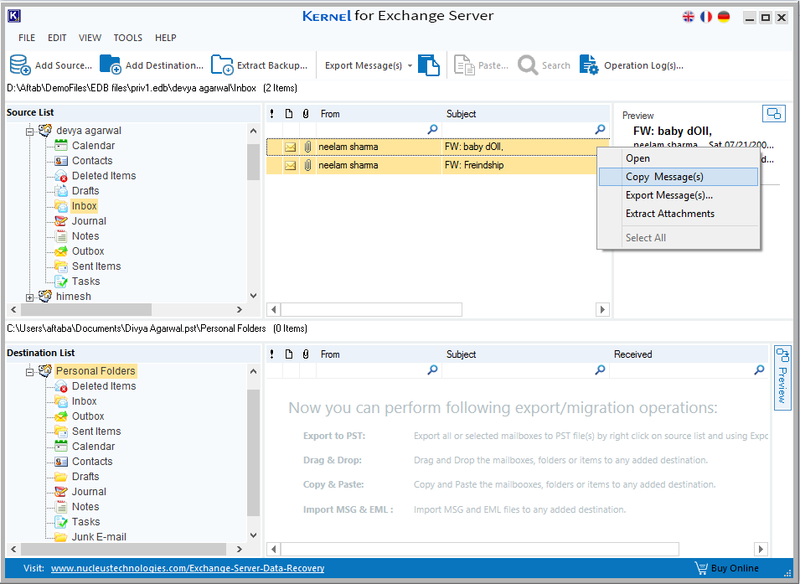 Corruption in Exchange server database is an undesirable scenario, but it is quite a common phenomenon, and whenever it happens, the information stored in the database is the most affected component. 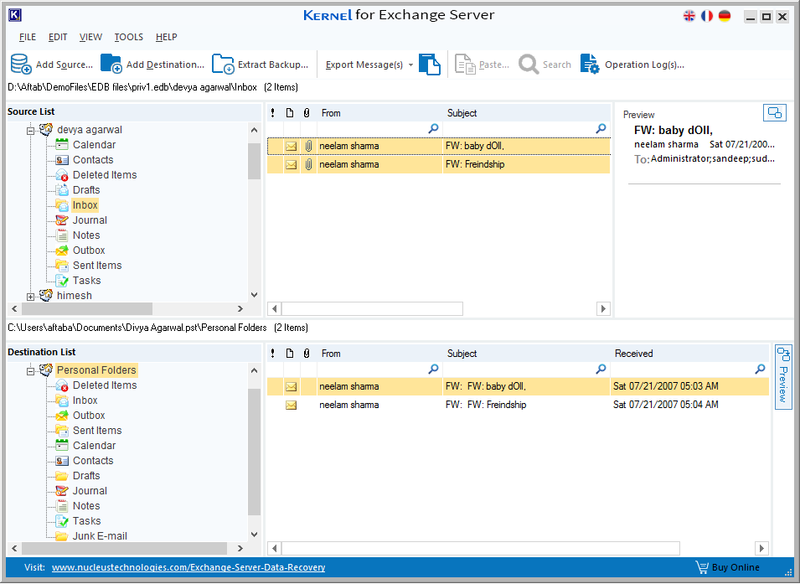 The Exchange database files are Pub1.edb, and Priv.edb gets damaged, and the users will find critical emails, notes, contacts, and other data inaccessible. Whenever a data is unavailable, it gives a particular warning or error message. In such cases, it becomes inevitable to repair the corrupt Exchange and restore to its original state. Information Store Service won’t start. If it starts, you can’t stop Information Store Service and other dependent services. Information Store becomes irresponsive, and CPU usage reaches 100%. Users are unable to send/receive emails even if stored Information Store is restarted. The reason behind these errors messages may be a virus infection, improper shutdown, operating system failure, etc. To overcome these errors, you can either use the inbuilt ESEUTIL or ISINTEG tool or take assistance from a professional tool. 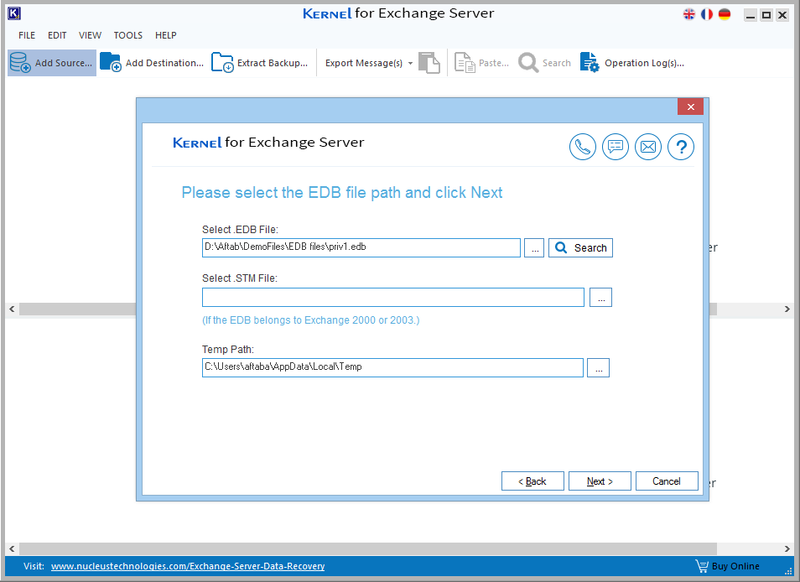 Launch the software and click Offline EDB file. Browse the dismounted or offline EDB file from its location. 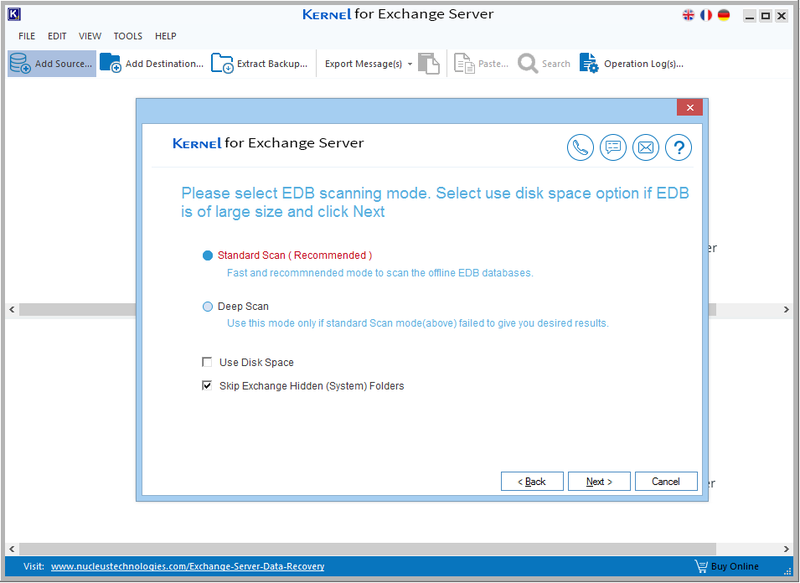 You can also search for EDB files within a drive or folder. Select the scan mode among Standard Scan and Deep Scan. After soon as any EDB file is recovered, it is placed in a tree structure. You can browse any mailbox item, select its content, and watch its preview with the help of preview option. 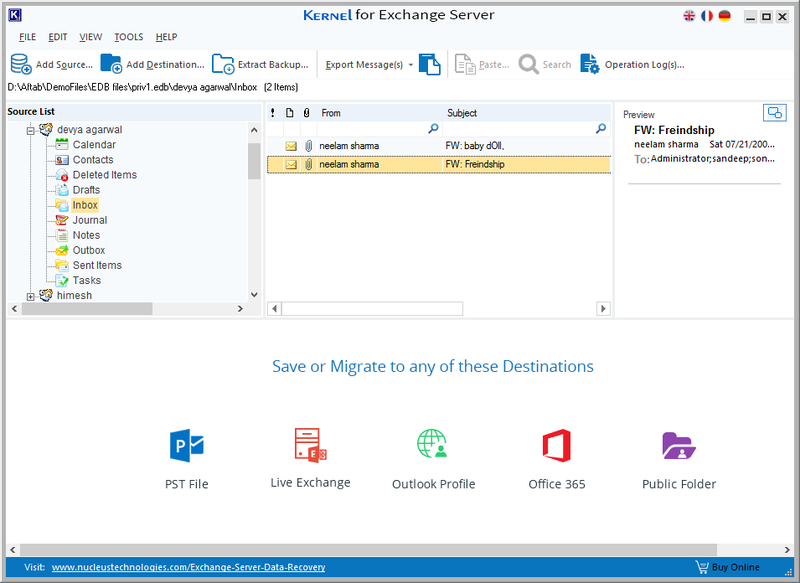 Now, to save the EDB file content, you may choose multiple destinations like a PST file, live Exchange, Outlook profile, Office 365, and a public folder. Here, a PST file is selected (using the Add Destination button). 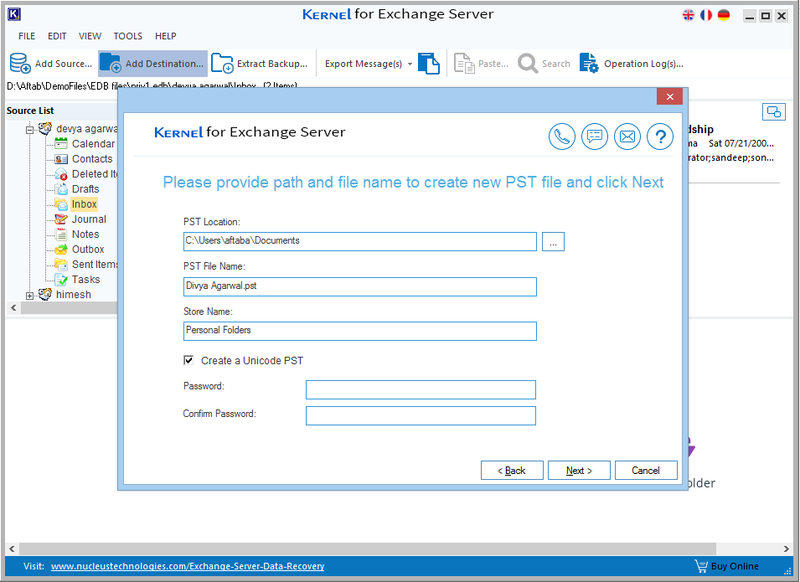 Select Create New PST File or Existing PST file. 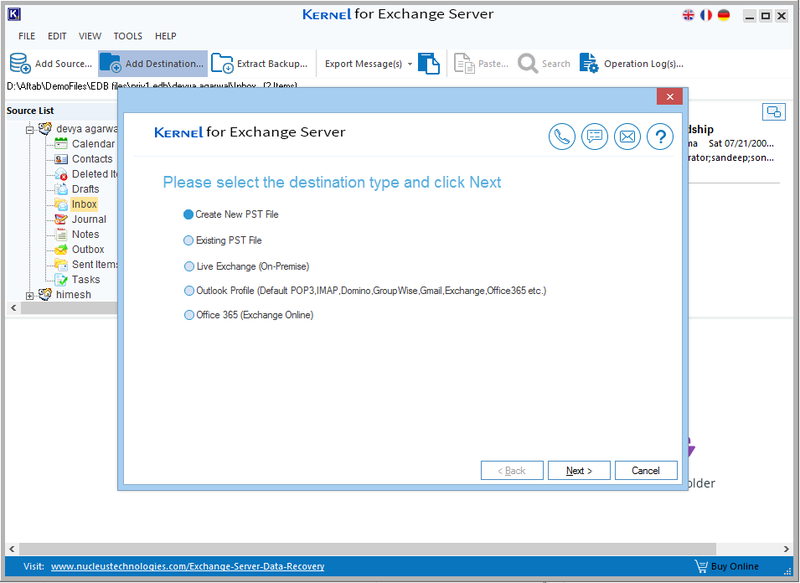 Then browse the destination to save the PST file. A new PST file is created in the destination list. Now, you can select various output methods like copy-paste, drag-drop, or export messages. After saving the files in the destination PST file, a confirmation message will be shown to you, and the files will be present in the destination. 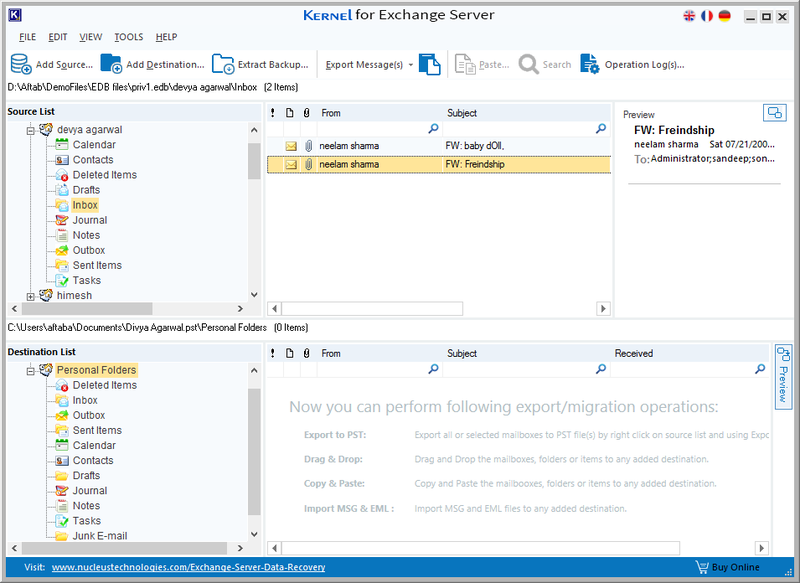 This article includes all the necessary methods and techniques to handle multiple types of Exchange database corruption. You can use any of these methods. 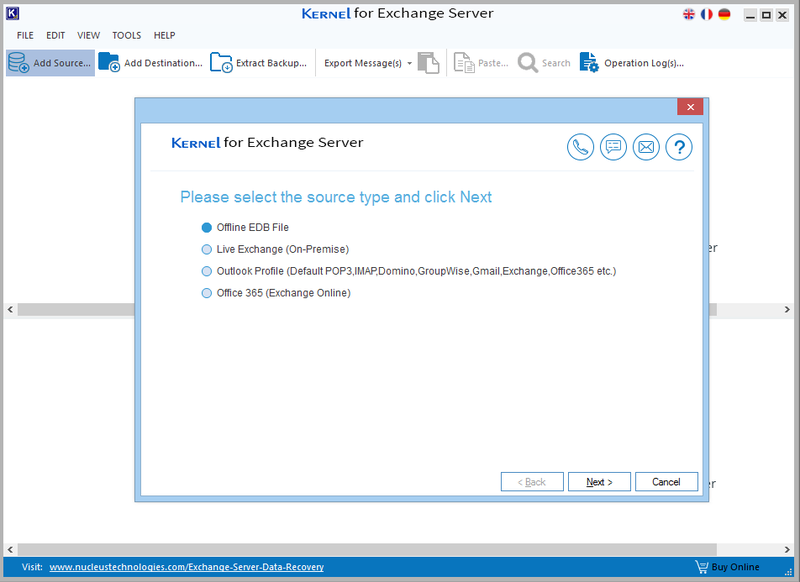 But if you want a 100 % recovery with complete data integrity, then take the service of Kernel for Exchange Recovery. It is a feature-rich, readily usable, and highly effective software. It can repair corrupt EDB files of any size.